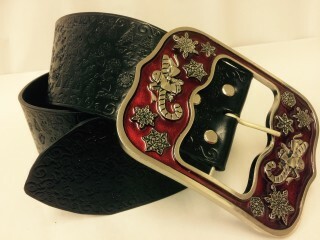 A beautifully handmade and fully decorated belt for Father Christmas. 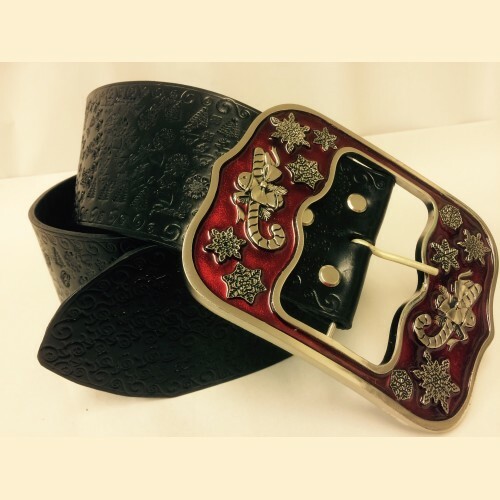 Utilising Eileen Strom silver and red enamel buckle, each belt is unique, fully decorated with Christmas themes. 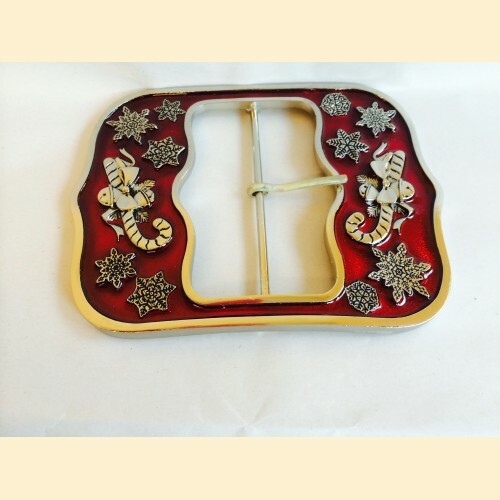 Reindeers, holly, Christmas trees and seasonal embossing. At 4" wide these are built to last for the 'Big Man'!